Why Do Dog Owners Use Strollers For Dogs? When Are Dog Strollers Needed the Most? Are Dog Strollers The Best Type of Pet Carriers? A dog stroller is a must have accessory for all types of dogs, providing them with maximum comfort and ease in transportation. Strollers for dogs are absolutely convenient, functioning as crates on wheels and allowing the dog to keep you company while remaining contained inside. Dog strollers serve several other useful purposes and ensure that your dog stays safe and you remain free of worries while roaming outdoors. A dog stroller is a great investment irrespective of the breed of dog one has. However, there are a number of different factors to keep in mind while choosing one. With so many options available out there, a dog owner must know about which variety would suit his furry family member the most. Following are some of the factors which should determine the dog stroller that you ultimately buy. Ideally, the size of the stroller you buy should depend on the size and more precisely, the height of your dog. If your dog is full grown, you already know his/her height and weight. 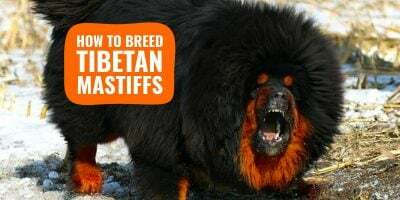 However, if your dog is still growing, then make a rough estimation of your dog’s full grown size and buy one that would be perfect in the long run. Too small a stroller will be of no use but a slightly bigger one can always be adjusted with a supporting blanket or pillow. Stroller for small dogs are meant to offer your dog with maximum comfort in all seasons. Therefore, the stroller you buy must have a wide roof/cover that protects your furry little one from sun and rain. When carrying your dog over a considerably long distance, a large roof area ensures that there is no exposure to aggressive animals outside. Covers and side panels should have the right balance of ventilation for ideal breathability, but also strong protection against elements and capricious weather. A foldable dog stroller is ideal for anyone who wants to keep the carrier at the back of the car. The majority of dog strollers available out there are foldable models, which can be transported virtually anywhere. Some strollers for large dogs, or even double strollers, still take up a lot of room while being folded up. A basic dog stroller comes with 4 wheels. However, the stroller you buy must contain an additional rear locking wheel for enhanced safety of the dogs. The locking wheel acts as brake and helps in keeping the stroller in place even on public transportations like buses. Also, while taking your dog on a walk over a slight slope, you can engage the brakes with your foot and prevent the stroller from rolling down the hill. Three-wheeled dog strollers are better for joggers. Four wheels offer more stability. The more compact a dog stroller is, the better it is for both the owner and the dog. Convertible dog strollers that also function as carriers come with increased versatility and enhanced compactness. The ‘backpack’ style strollers are also very compact and great for owners who travel with their pet often. These are simple carriers but incorporated with additional wheels and straps. 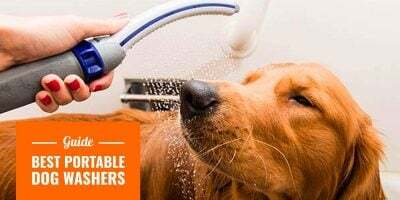 Cleaning the stroller is essential to maintain good health of the dog: the stroller’s basket cannot be the place where bacterias and parasites thrive each and every time your dog goes into it. The fabric of the strollers should be easily cleaned with warm soapy water. 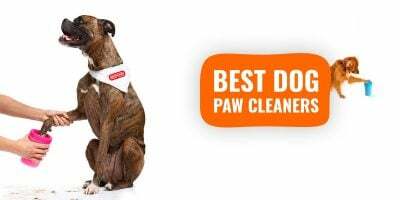 There are some amazing products available for the most appropriate cleaning of pet strollers. If the dog stroller is used in muddy ground, it is advisable to wash the mud off the wheels before storing it away. The residual mud can turn into dust and infiltrate the wheel bearings causing wear and tear of the carrier. While these are some of the most important factors of consideration, owners can have specific requirements, which further determine their choice of strollers. Strollers are available in a fair variety of styles and designs. Although style is not among the top considerations for buying a dog stroller, owners can choose one that best suits the personality of their dog. Strollers for Small Dogs are perfect for making the smaller breeds of dogs feel absolutely comfortable and stay safe. These are almost like baby strollers in nature. Strollers for Larger and Multiple Dogs are bigger in size to accommodate breeds weighing over 45 lbs. These are best-suited for owners who have breeds like Labradors or Dalmatians, or those carrying more than just one small dog at any time. The All-Terrain or Jogging Dog Strollers come with three large wheels designed to be able to cover bumpy terrains. These strollers have additional shock absorbers to prevent your pooch from bouncing around inside the sitting area. The design is suited for both smaller and larger breeds. The Multifunction Strollers strike a blend of safety and versatility. These strollers have three-in-one functionality offering mobility, carrier capability as well as car seat enabler. The seat section can be removed from the stroller base and buckled into your vehicle. This variety works best for the small breed dogs but we recommend buying a dog car seat, and a separate stroller. Once you are set on which kind of stroller you need for your dog, you are set for purchasing the right product. As a dog owner, you must have realized the importance of buying a stroller that brings multiple benefits for both you and your dog. Now, when it comes to buying the perfect one, it is necessary to execute a thorough analysis of some of the best dog strollers and the specific ones available under each category. Here is a detailed shortlist reviewing the top 6 best dog strollers you might consider buying. This Pet Gear pet stroller is one of the popular and premium quality strollers for small dogs available. This 12″ x 12″ stroller has a pet cabin size of 30″ x 13″ x 22″ and weighs about 32 pounds with a maximum load capacity of up to 70 pounds. Some of its important features include rubber wheels with air ride tires, a 3 position canopy, weather cover, bolster pad, cup holders, front shock absorbers and of course, no-zip quality. If you like walking or even jogging with your small dog, this three-wheel pet stroller would prove to be an ideal one. The panoramic view window will ensure that your furry one never gets bored while you exercise. The main intention of a stroller is to provide safety and comfort and the Pet Gear No-Zip NV Pet Stroller fulfils the purpose by virtue of an internal tether, easy locking system and large wheels. With that being said, this stroller can be used for dogs only as the adjustable waist belt makes it unsuitable for other kind of pets like cats. This OxGord stroller is one of the highest rated small dog strollers offering the best-possible value. 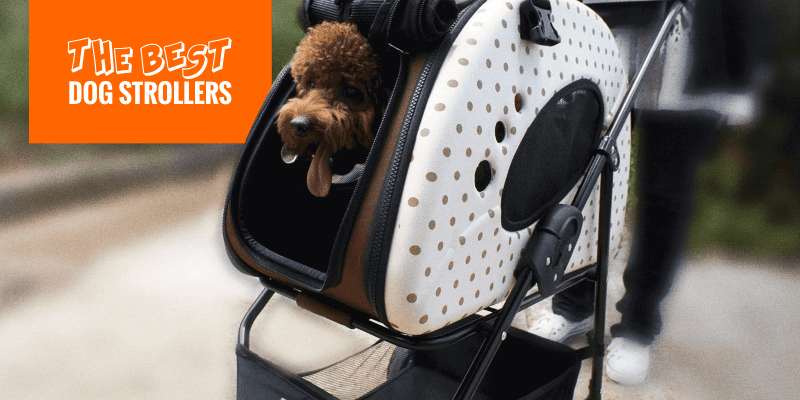 The most remarkable feature of this excellent stroller is its multiple mesh screens that cause no stress on your dog, irrespective of the journey and the road conditions. Ventilation as well as protection from insects are ensured by these mesh screens. The stroller has an underground storage too, allowing you to pile up refreshments for your dog and promise him/her with familiarity and comfort. The top is foldable, which calls for enhanced compactness. While the stroller is pretty much spacious for your small dog, it also has the perfect height that makes it easier for the owner to push. The OxGord stroller with folding capacity is roomy enough to function as strollers for two dogs, which is an added benefit. 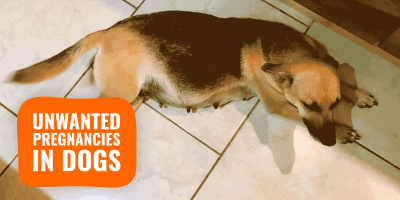 The product rolls over smoothly and noiselessly, causing no disturbance for either the owner or the dog. As one of the highest selling small dog strollers in the market, there is practically no downside worth mentioning. If you have an old dog, which is developing mobility issues, go for this stroller and ensure maximum protection with an additional retractable waterproof rain hood attached to it. DoggyRide is a great american brand! And their DoggyRide Novel Dog Jogger-Stroller comes under the category of premium quality strollers for large dogs. It is 39″ to 41″ inches high weighing 35 lbs and offering a cabin size of 31.5″ L x 21″ W x 25.5″ H. Meant particularly for the large dogs, the stroller comes with a lightweight aluminium alloy frame and stainless steel spokes and hubs. The carrier embeds 2″ thick memory foam enabling shock absorption in journeys on bumpy terrains. For owners who often go biking carrying their pet, this stroller is all that you need. It comes with a bike conversion set that includes a tow-bar arm, bike hitch and safety flag. The bike hitch, made of steel, makes the stroller easily attachable to most standard bikes. Further, there is a multifunctional roof rack, a clear plastic rain cover and an extra leash set made of thick nylon webbing for carrying two dogs at a time. This particular type of stroller comes in a pre-assembled form. However, assembling it is hassle-free as you have to just fold up the side walls, move the interior cross bar arm, insert the push bar arm into the holders and lock it into place. In the last step, you can simply attach the wheels and your stroller is ready to move. This ingenious dog jogger/stroller promises riding pleasure for different breeds of large dogs, thanks to its two-section roof front. The Roadster Pet Stroller is one of the best value dog strollers for larger breeds. The stroller is 33″ L x 20″ W x 21″ H and can carry pets weighing up to 100 pounds. The stroller comes with a large protective pet compartment and a 39″ inch adjustable ergonomic handle. The easy fold mechanism guarantees hassle-free transportation while the internal pad with safety tether calls for increased comfort of your pet. The Pet Gear Roadster Pet Stroller is a very stylishly made carrier that is extremely good to look at and therefore, matches up to the personality of your dog. Also, the stroller is very sturdy, which makes it suitable to be rolled/pushed over uneven terrains without causing discomfort to your pet. It is not a jogging stroller because pushing it will make you constantly kick the back axle. Although the Pet Gear Roadster Pet Stroller looks pretty roomy from outside, it might seem to be less spacious for giant breeds of dogs. The only opening at the front might make it difficult for the older dogs to enter and hence, they might not be too enjoying their smart-looking stroller much at first. Overall, it is a good buy only if you ensure that your dog is neither too tall nor too heavy for this carrier. The Pet Gear No-Zip Double Pet Stroller is one of the best double dog strollers available out there. With a capacity of about 90 pounds, the stroller comes with an easy-locking No-Zip entry with plush bolster pad for added protection. There are two interior safety tethers to promise maximum safety of each of your dogs. Made of water-resistant material, it incorporates a weather cover and boasts of an extra-wide carriage. The no-zip feature of this extra wide dog stroller ensures accessing your dog without hassle. The 12-inch quick release air tyres call for a smooth ride irrespective of the road conditions and whether you are carrying a single one or two dogs. Enjoying maximum comfort inside the carriages, your dogs do not miss out on the sights and sounds outside, thanks to the wide panoramic window view. There is a large storage basket and a cup holder, useful for long journeys. Further, the one-hand fold mechanism ensures hassle-free storage and transportation. This stroller by Pet Gear height to handle is 42″ while the interior dimensions are 27″L x 20″W x 23″ H with a holding capacity of about 90 lbs. With no glaring downsides, this stroller is the perfect one for those looking for quality double dog strollers. The OxGord Double Pet Stroller is one among the best value double dog strollers available out there. With one main carriage and an undercarriage, the size of the stroller is 38″W x 29″L x 26″H and some of its prominent features include multiple windows, spacious design, rear brakes, two tether straps and foldability. The OxGord Double Pet Stroller is a 4-wheel stroller with twin carriages, giving your pets plenty of space to stay comfortable. The light weight of the carriage makes it easy to transport and store. It comes with large windows to offer your dogs with increased ventilation and breathability, along with the scope to enjoy cool weather and sunshine outside while staying safe inside. With all this, the most standing out feature of this stroller is its affordability. There are a few downsides with respect to the design of the stroller. For instance, the two carriages cannot be merged to make way for one large compartment. While this carriage is just the right one in so many respects, it is not suitable for owners who go out jogging with their dogs in the strollers. The comparatively shorter length makes it difficult to keep straight at high speeds or keep it moving while jogging. The absence of a locking mechanism for the wheels is yet another disadvantage of this particular type of stroller. However, it remains one of the best double dog strollers and offers great value. 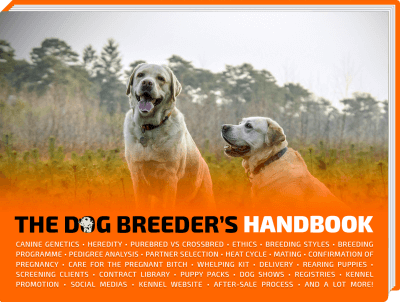 Consider checking out if it suits your and your dog’s precise requirements before buying one. Each of these dog strollers fulfil specific purposes and while some are good for small, single dogs, others are more suitable for the larger, heavier, taller breeds. You can compare the features of the strollers and then go on investing on the one that comes closest to what you are looking for. If you are a proud dog owner, wondering how these strollers can help your pet, here is a list of reasons that you can consider. The most obvious benefit of a dog stroller is that it makes it easier to carry your dog to places, whether it is a visit to the vet or an outdoor event. Dog strollers act like protective covers, preventing your dog from sun or rain while also keeping them safe from aggressive animals. Dog strollers can be of immense use in emergency situations where your pet gets scared and runs away even before he/she can be confined by a carrier. The strollers are often the best-possible means of protecting the paws of your dog, which are vulnerable to the hot pavements in the summers and frozen slush during the winters. Travelling by car, boat or flight becomes hassle-free with a dog stroller. You can simply transport your dog to the hotel room, carrying him/her in the stroller without having to worry about him/her running away in a strange and at times, unfriendly places. The best strollers for dogs are those that provide an ideal way of preventing the senior or older dogs from feeling left out and unwanted. Older dogs have restricted mobility and often feel ignored when they are unable to accompany the family members on a day of outing and fun. With a stroller that is easy to carry, you can take your dog out on a casual outing each day without the chance of causing any sort of difficulty for him/her. Strollers for dogs are useful for owners with multiple dogs too. Taking the dogs out and letting them move in the same direction becomes possible with this useful accessory. In times of evacuations when your dog needs to be urgently moved to be prevented from being affected by fire, earthquake, tornado etc, the entire process is much easier in a stroller. The dog stays in the stroller with his/her familiar blanket, toys and food and therefore, does not run away out of fear during a hurried transport. If your dog is old, injured or has some sort of mobility problems, then a dog stroller is the most effective way of promising him/her with a walk and the chance to breathe fresh air and enjoy the sunshine outside home. Owners who are old enough to run about with their pet find it easy to carry him/her in a stroller. Since, there is no chance for your dog to pull at the leash; the probability of losing balance doesn’t arise. Similarly, with a pet stroller, the owner can exercise at his will without the necessity of keeping up with the dog. You can simply let your dog run about and when he/she gets tired, you can put them in the stroller and indulge in your own walking/running activity. There are different types of pet carriers available out there. However, dog strollers stand out among the rest. The greatest advantage of dog strollers is that these are no-strain carriers. As a result, pushing a stroller is easier on the shoulders, back and neck of the person who is doing so. It causes no stress either on the owner or the dog. Also, dog strollers come with enclosed seating area for your pet, which is preferred by most owners while travelling over long distances. The strollers serve as excellent outdoor seats for your dog in dog shows, picnics, festivals and various other outdoor events. Owners are often willing to take their dog out to such events but there remains a risk of dealing with crowd, bugs and other aggressive animals. With a quality stroller, you can give your dog the freedom to enjoy his/her time without getting into trouble like his/her tail being stepped and so on.